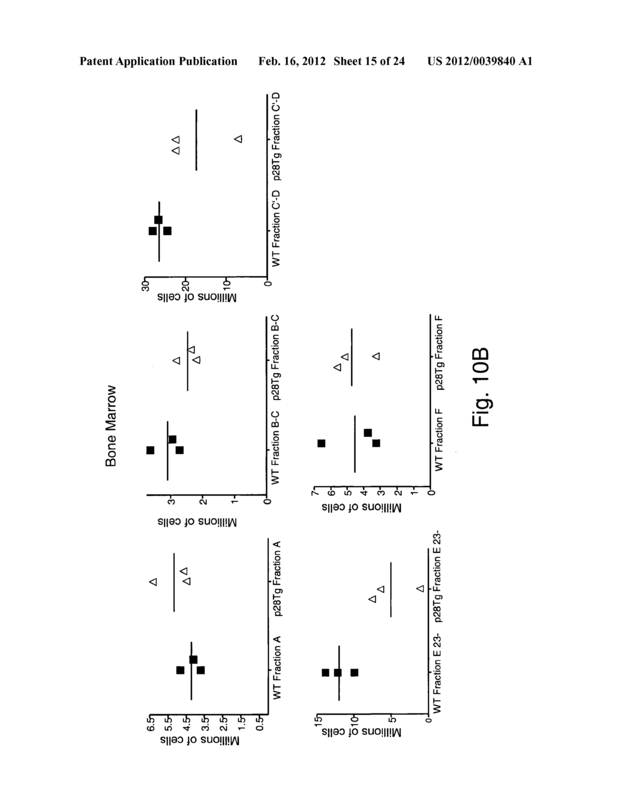 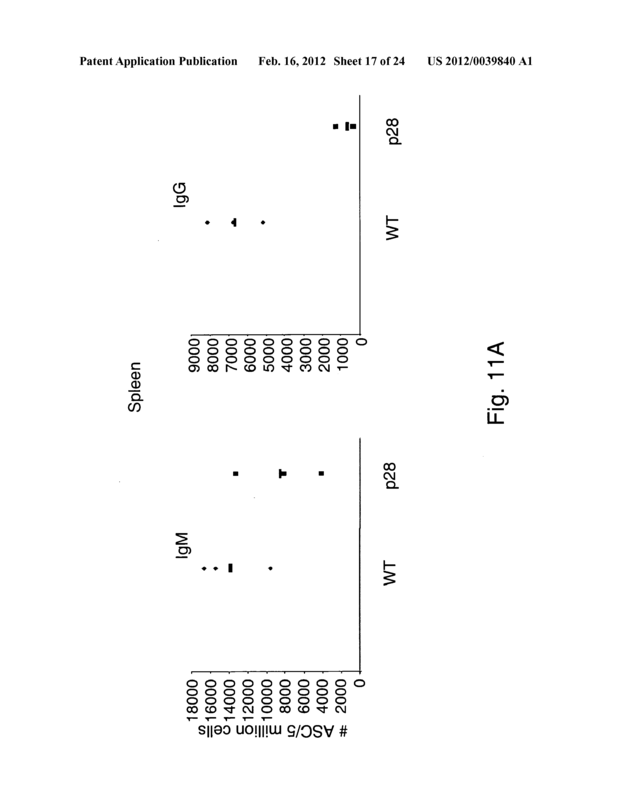 Provided are methods increasing, or, alternatively, decreasing IL-6 and/or gp130-mediated signaling in mammalian subjects using p28. 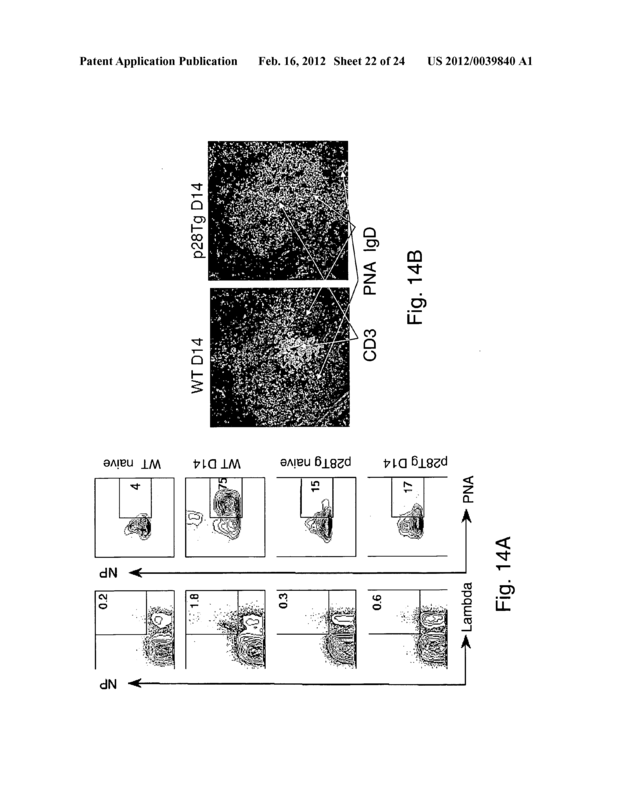 Methods of preventing and/or treating autoimmune disorders, cancer, transplant rejection, and other IL-6-associated diseases, as well as methods of enhancing an IL-6-mediated immune response, are also described. 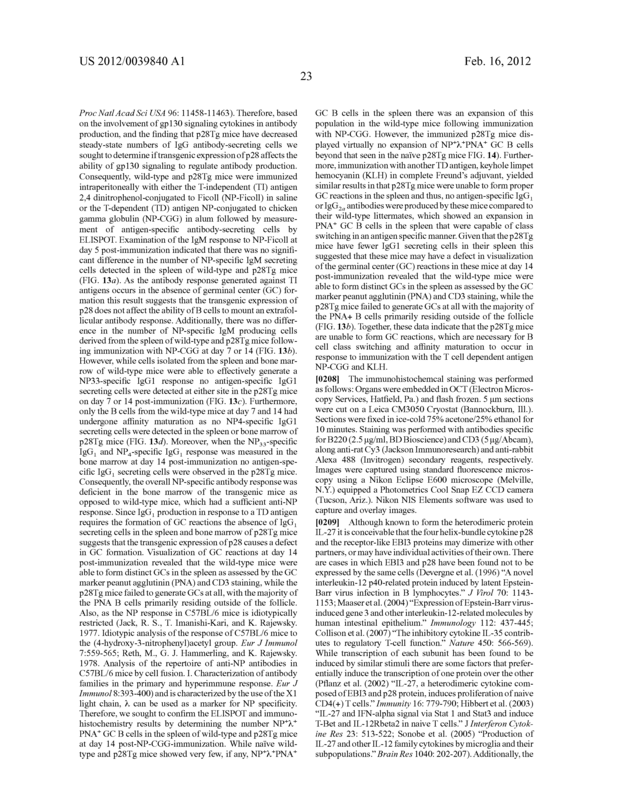 A method of treating or preventing an autoimmune disease, the method comprising administering p28 to a subject at risk for the autoimmune disease or to a subject who has the autoimmune disease. 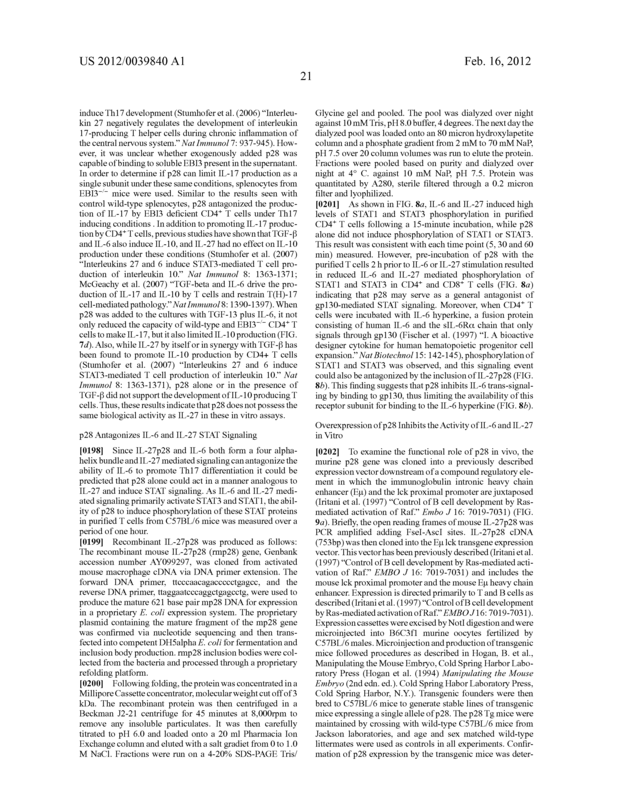 The method of claim 1, wherein the autoimmune disease is mediated by B cell production of antibodies. 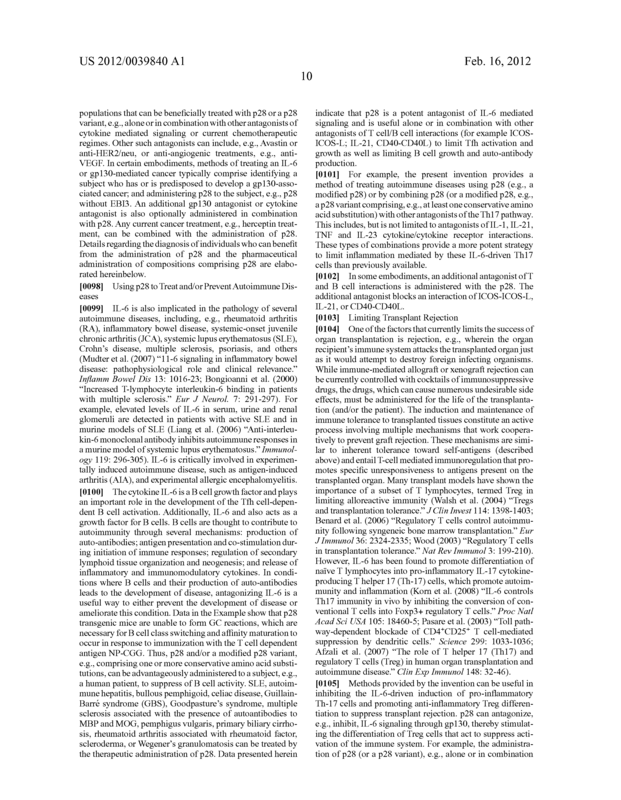 The method of claim 1, wherein the autoimmune disease is Systemic lupus erythematosus (SLE), Autoimmune hepatitis, Bullous pemphigoid, Celiac disease, Guillain-Barré syndrome (GBS), Goodpasture's syndrome, Multiple sclerosis associated with the presence of autoantibodies to Myelin basic protein (MBP) and Myelin oligodendrocyte glycoprotein (MOG), Pemphigus Vulgaris, Primary biliary cirrhosis, Rheumatoid arthritis associated with rheumatoid factor, Scleroderma, or Wegener's granulomatosis. 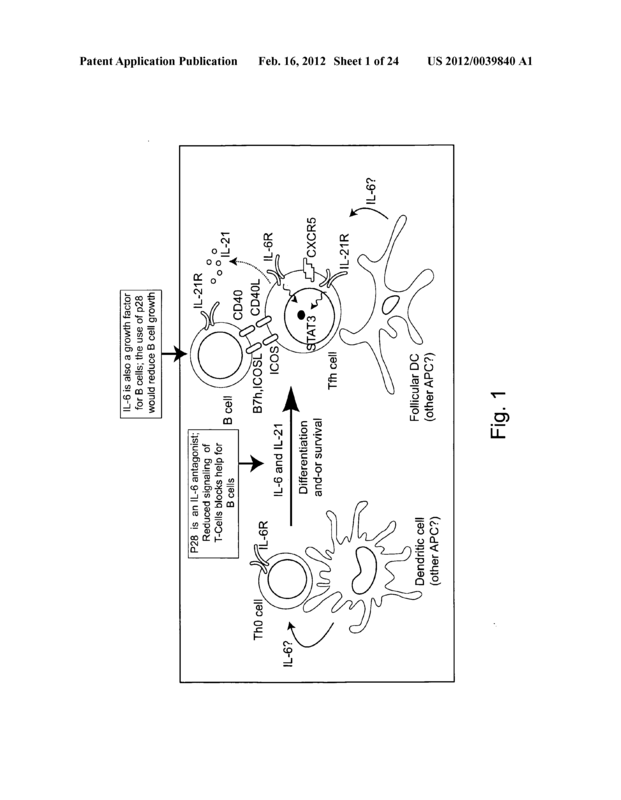 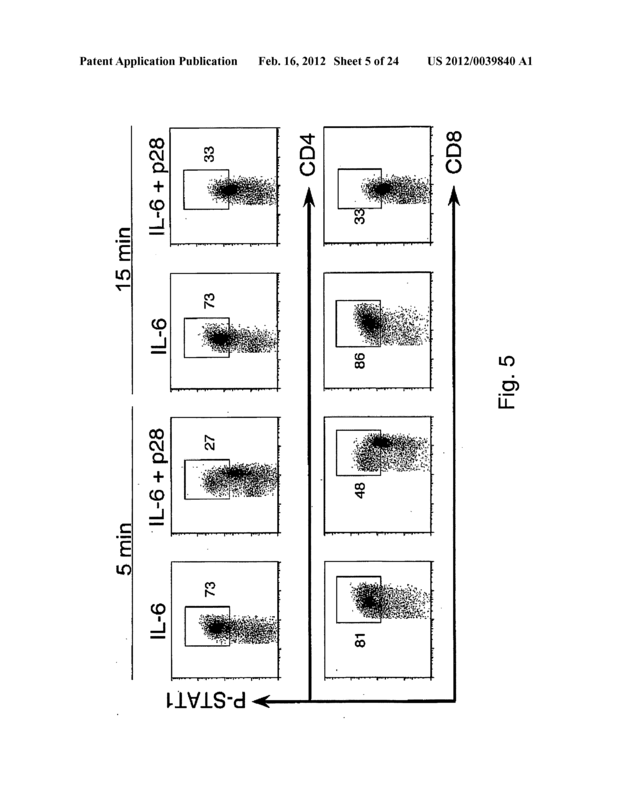 The method of claim 1, further comprising administering an additional antagonist of T and B cell interactions. 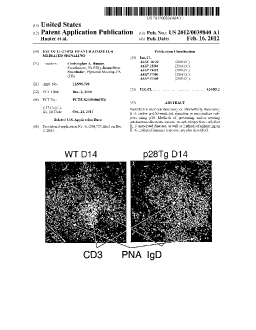 The method of claim 4, wherein the additional antagonist blocks an interaction of ICOS-ICOS-L, IL-21, or CD40-CD40L. 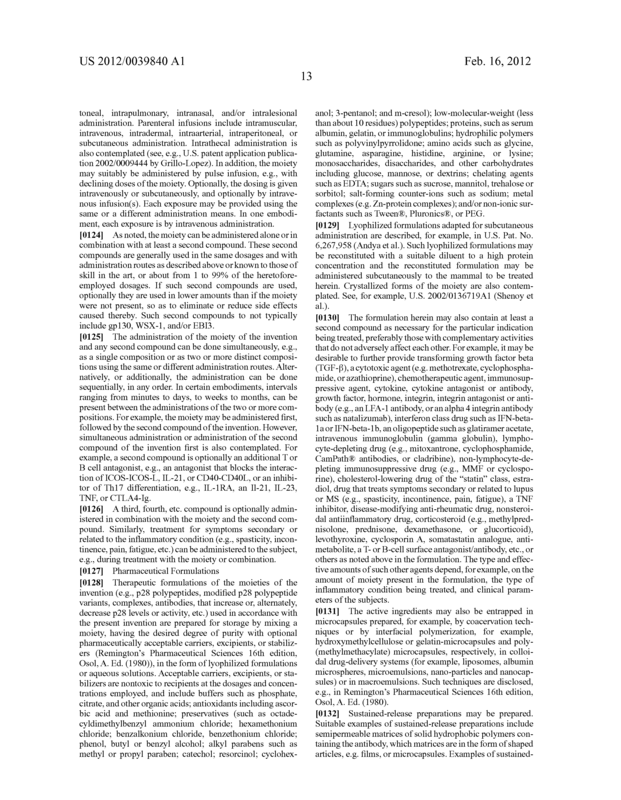 The method of claim 1, wherein said p28 is a p28 variant. 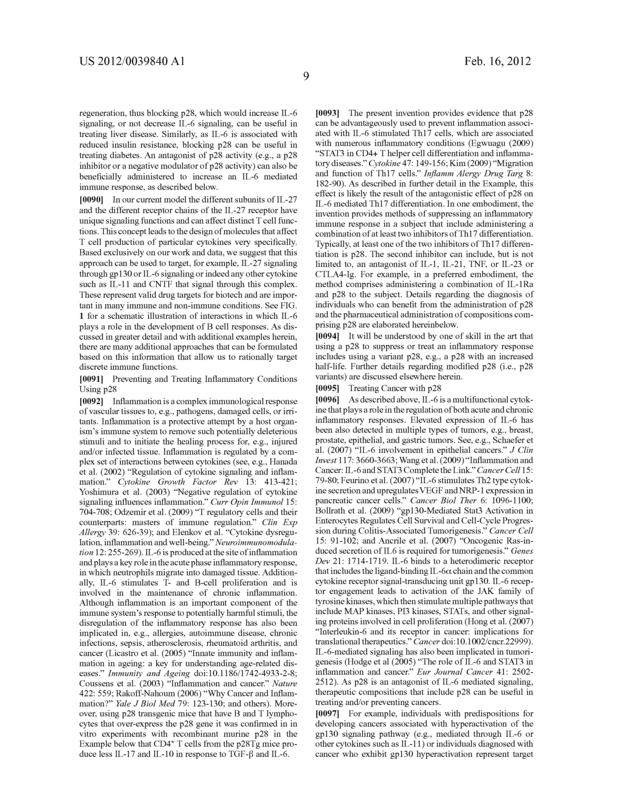 The method of claim 6, wherein the modified p28 has an increased half-life. 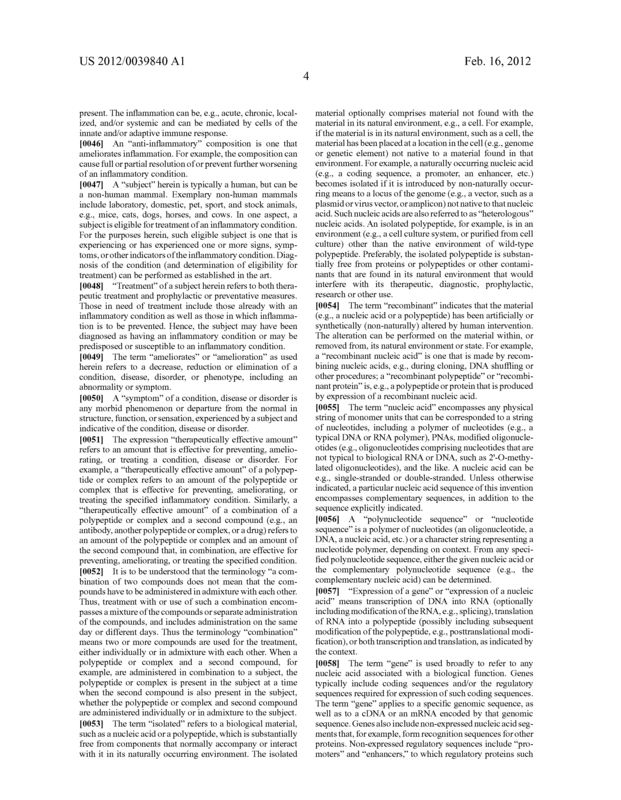 The method of claim 1, wherein the subject is human. 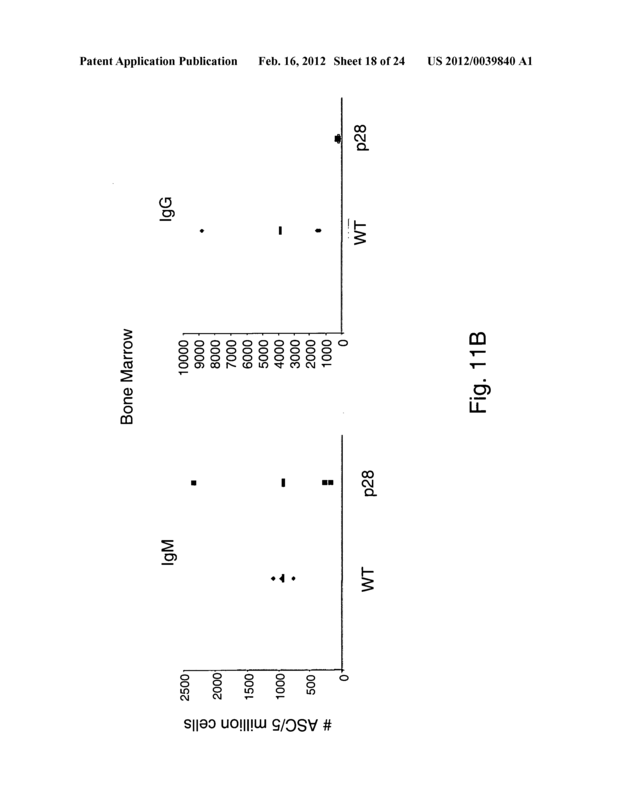 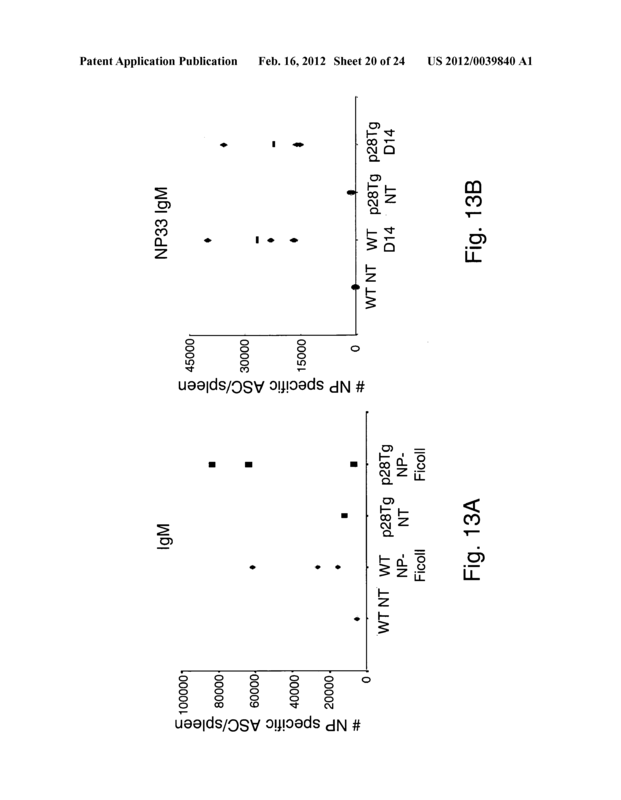 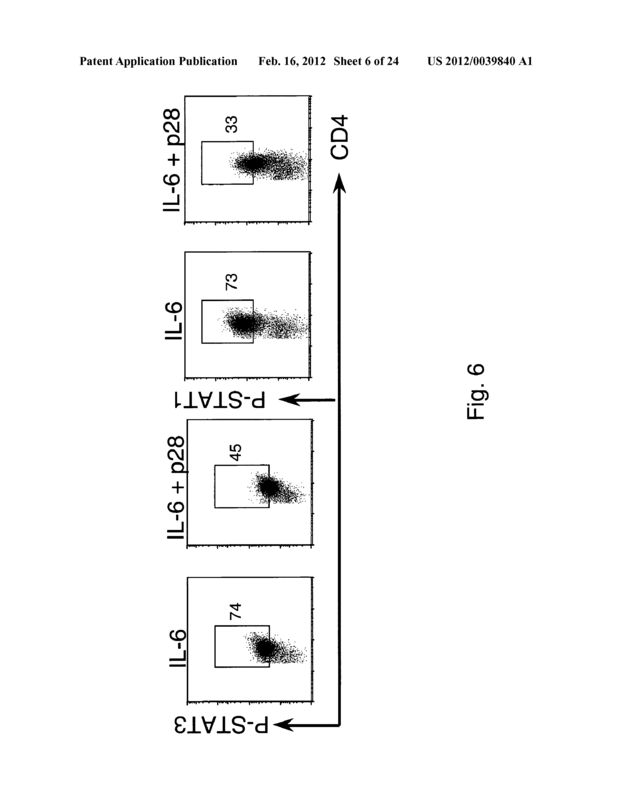 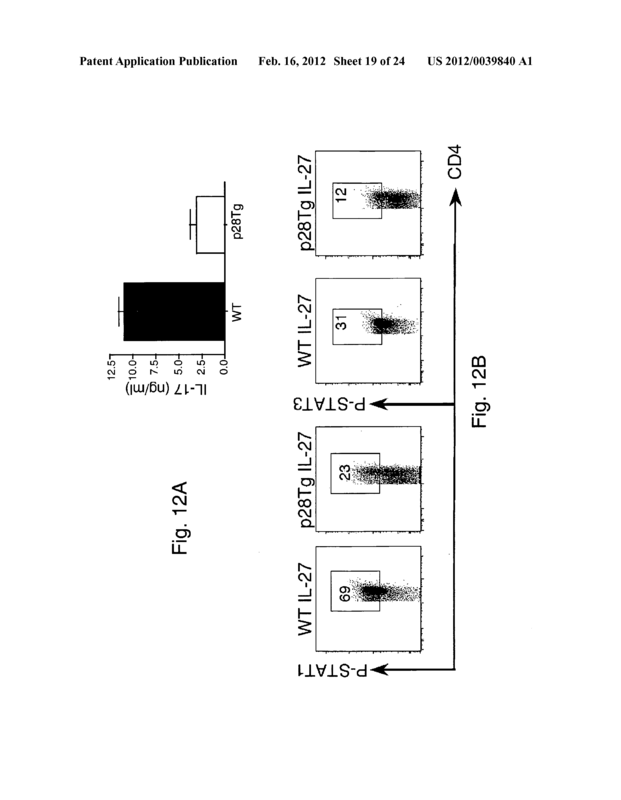 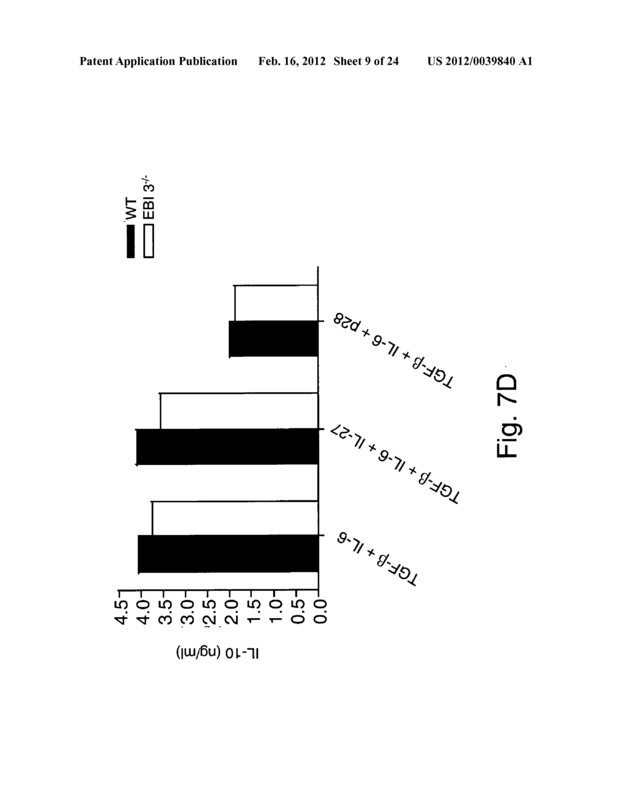 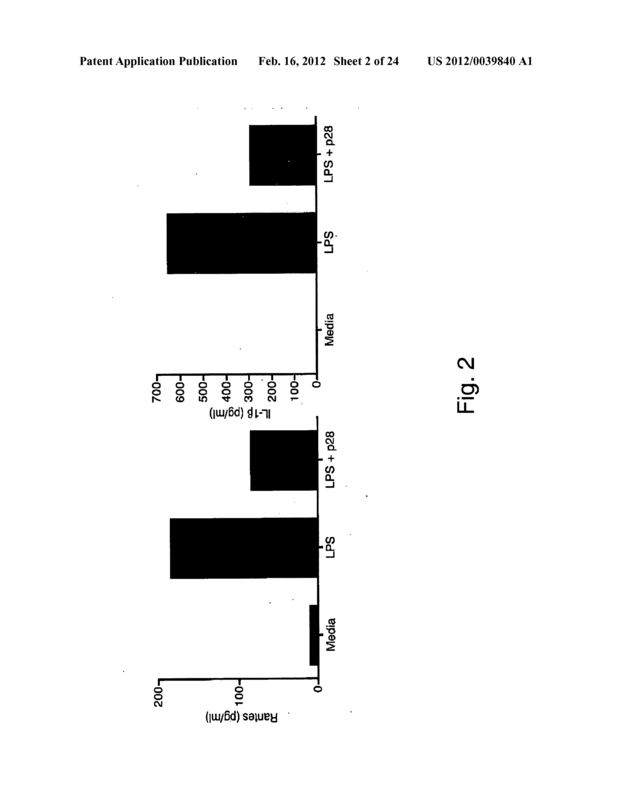 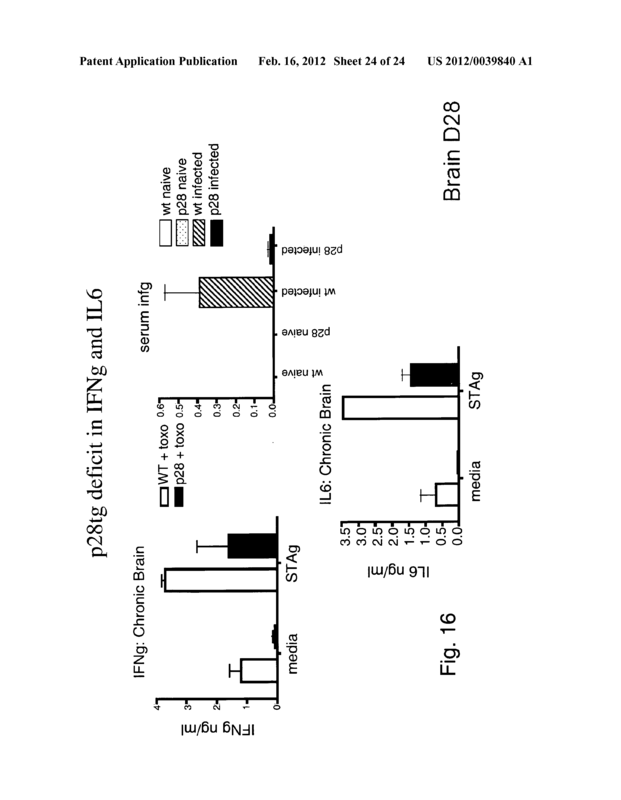 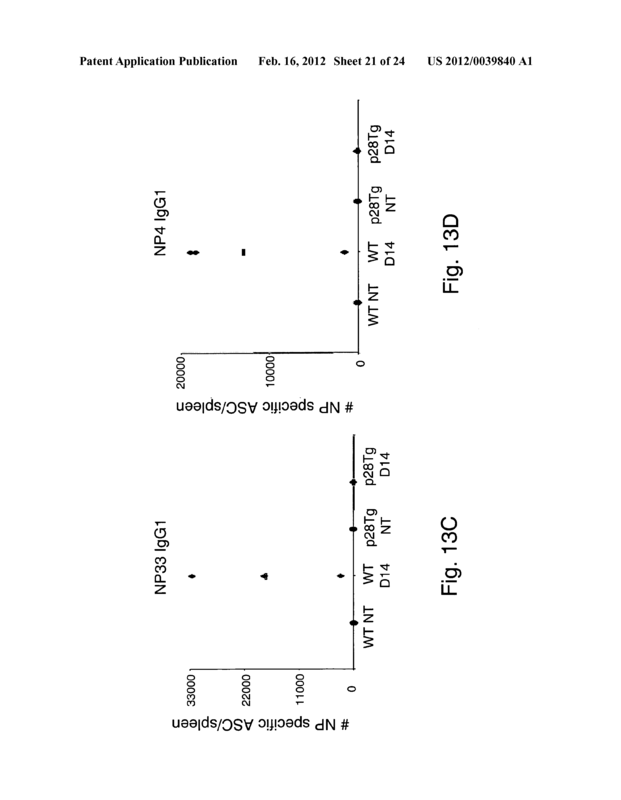 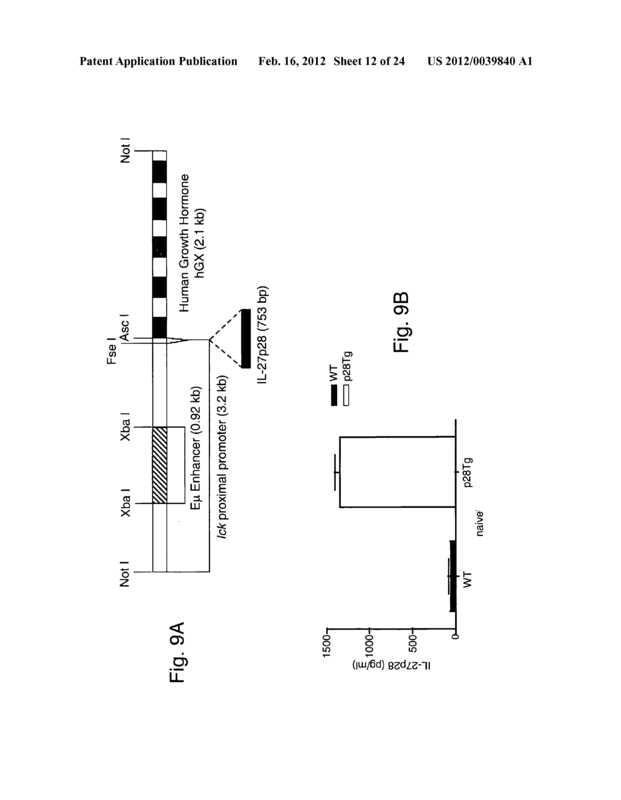 A method of enhancing an IL-6 mediated immune response in a subject, the method comprising administering an inhibitor of p28 to the subject. 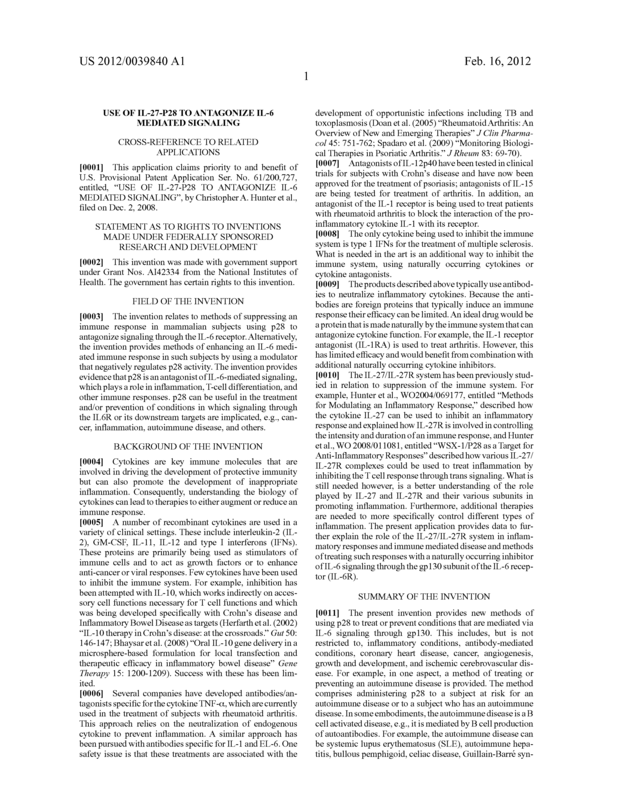 The method of claim 9, wherein the subject is a recipient of a vaccination for infectious disease or an immune-mediated cancer therapy. 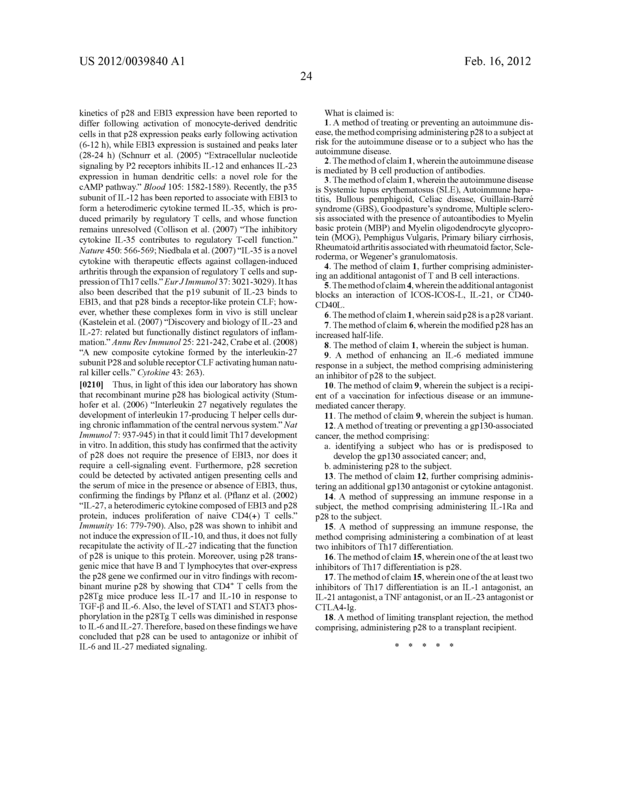 The method of claim 9, wherein the subject is human. 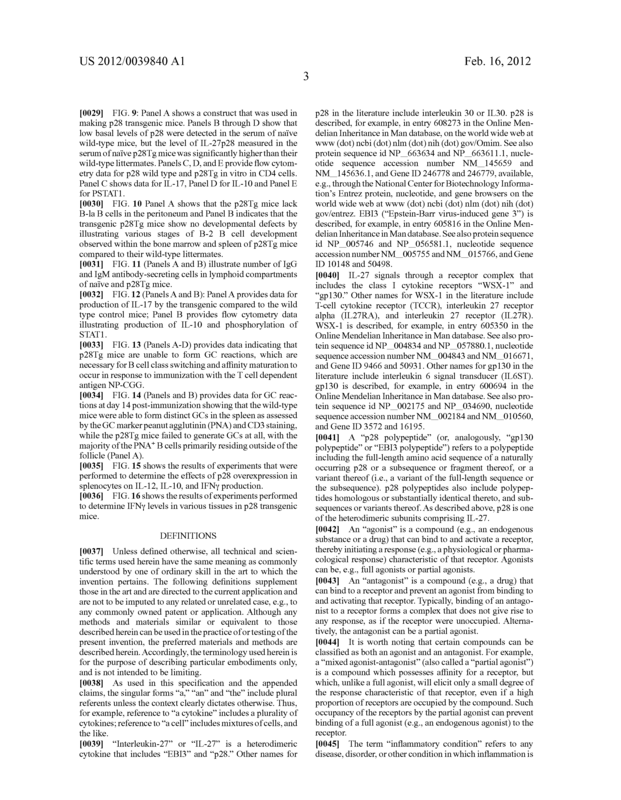 b. administering p28 to the subject. 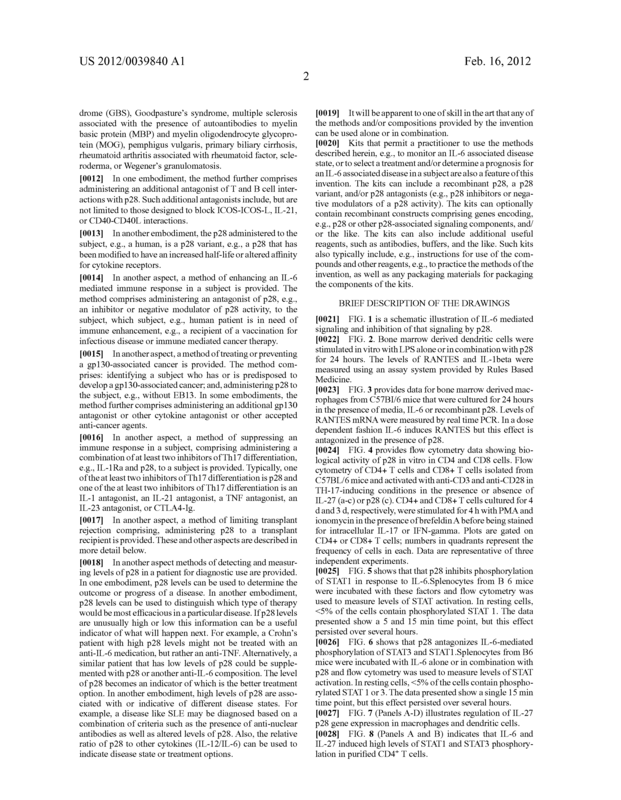 The method of claim 12, further comprising administering an additional gp130 antagonist or cytokine antagonist. 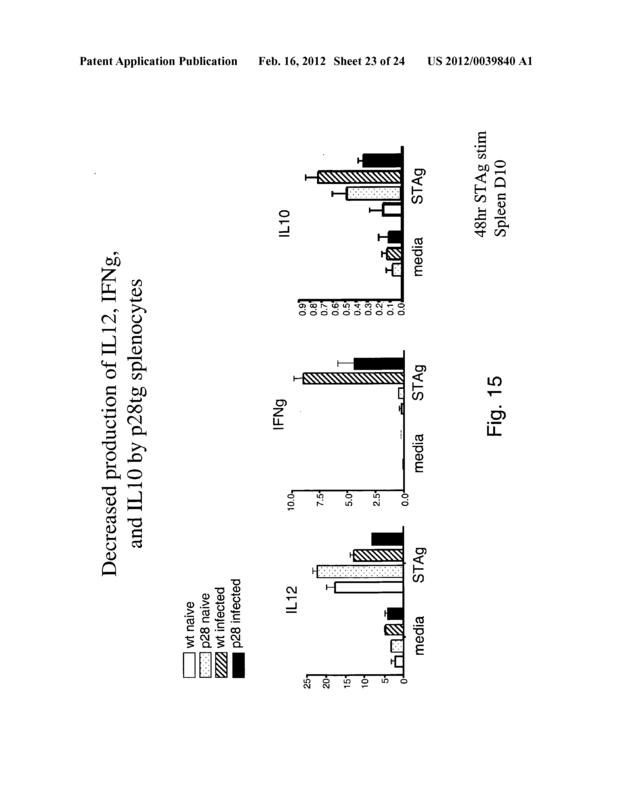 A method of suppressing an immune response in a subject, the method comprising administering IL-1Ra and p28 to the subject. 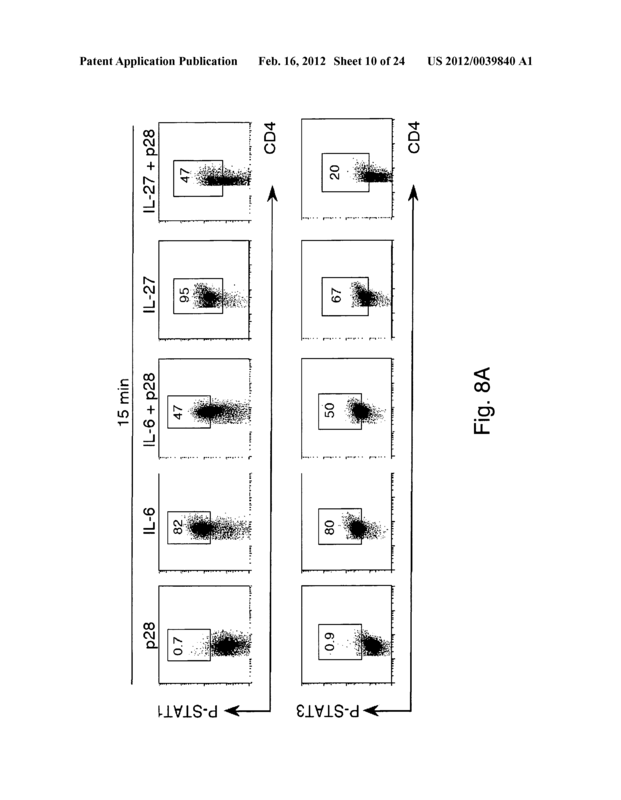 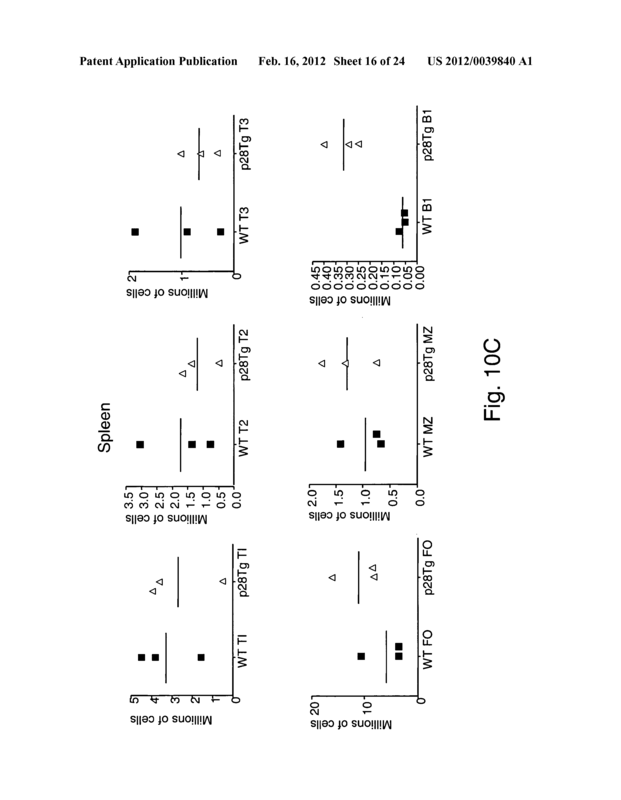 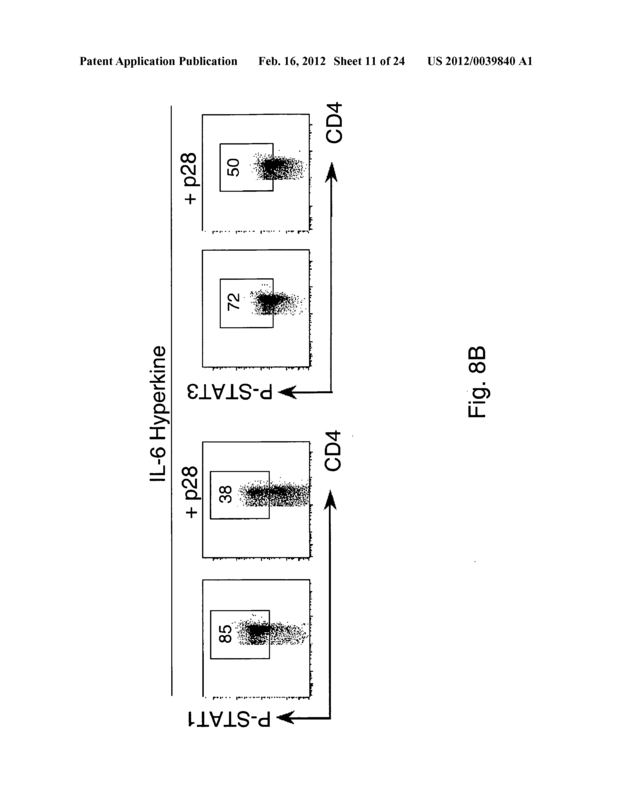 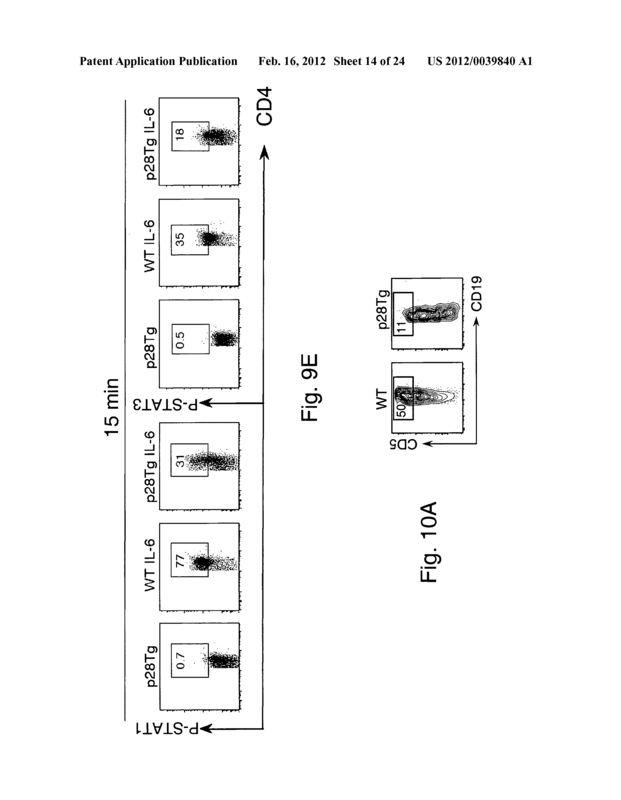 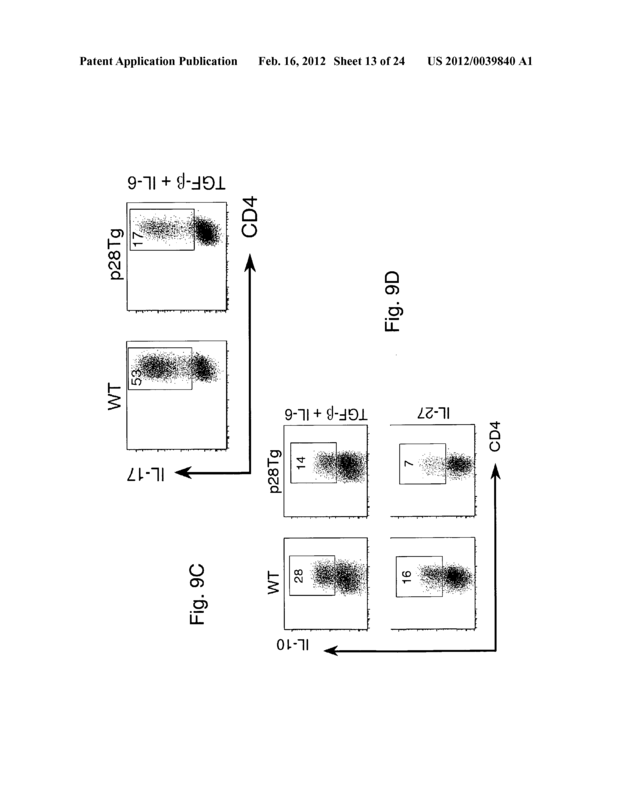 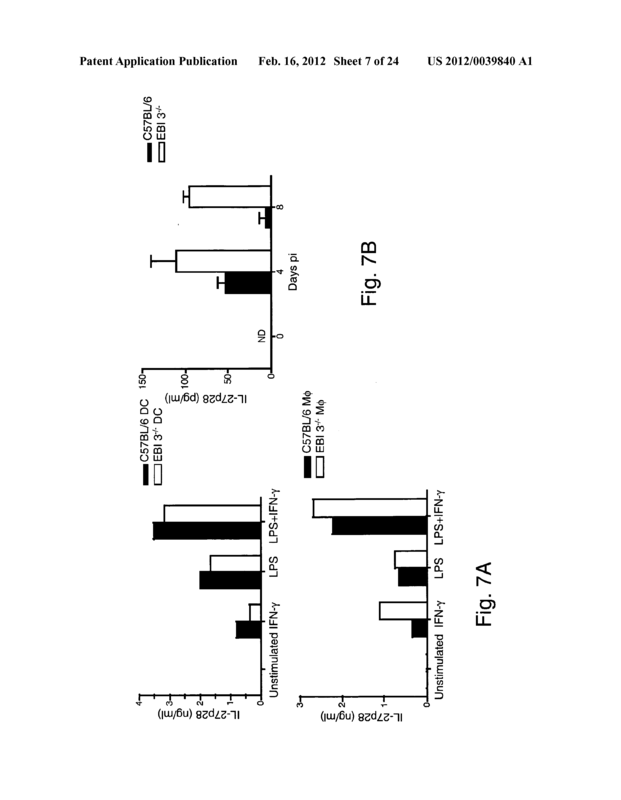 A method of suppressing an immune response, the method comprising administering a combination of at least two inhibitors of Th17 differentiation. 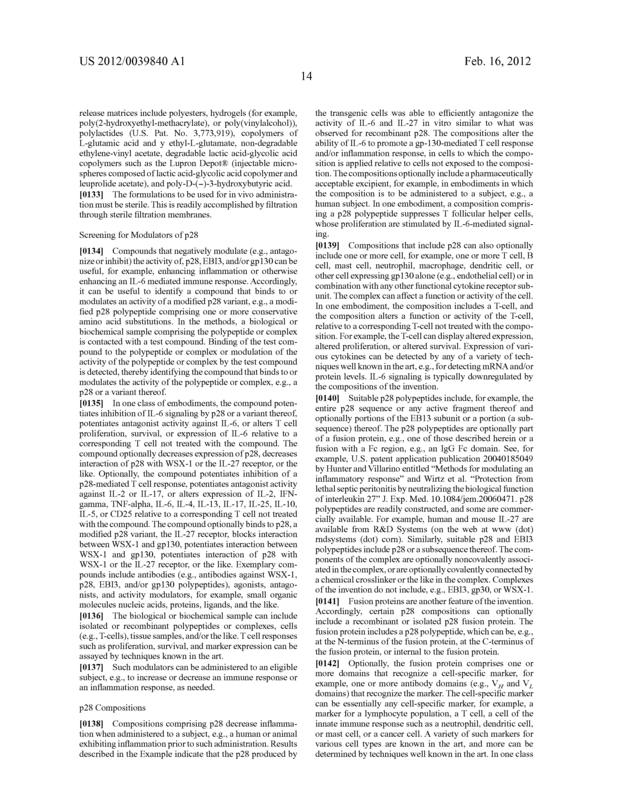 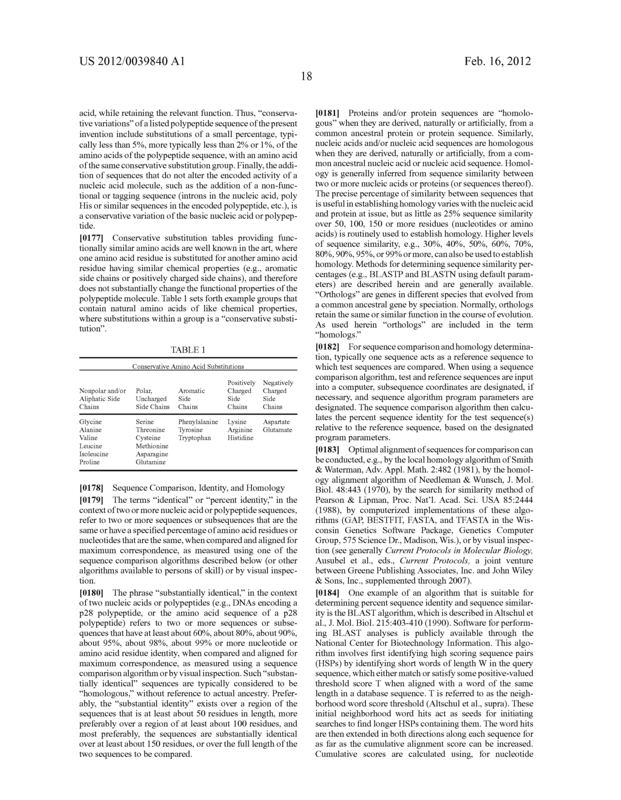 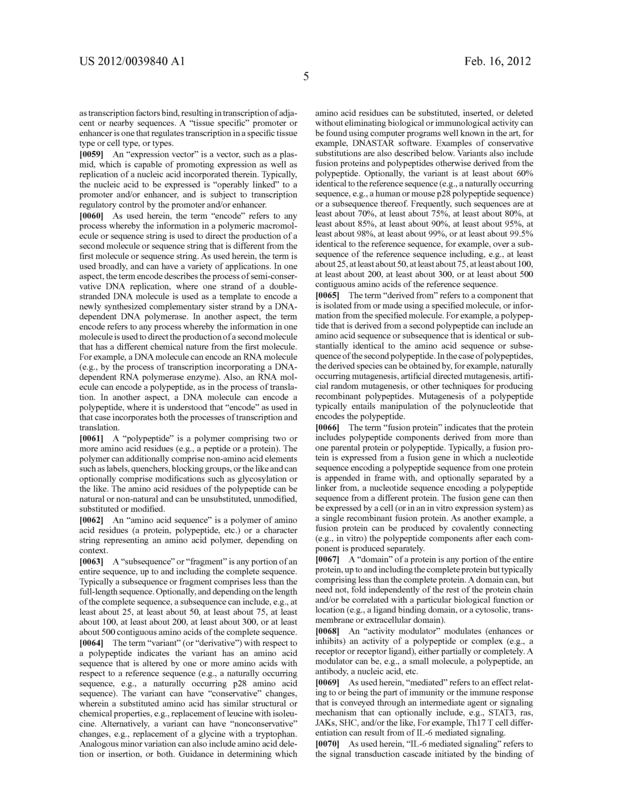 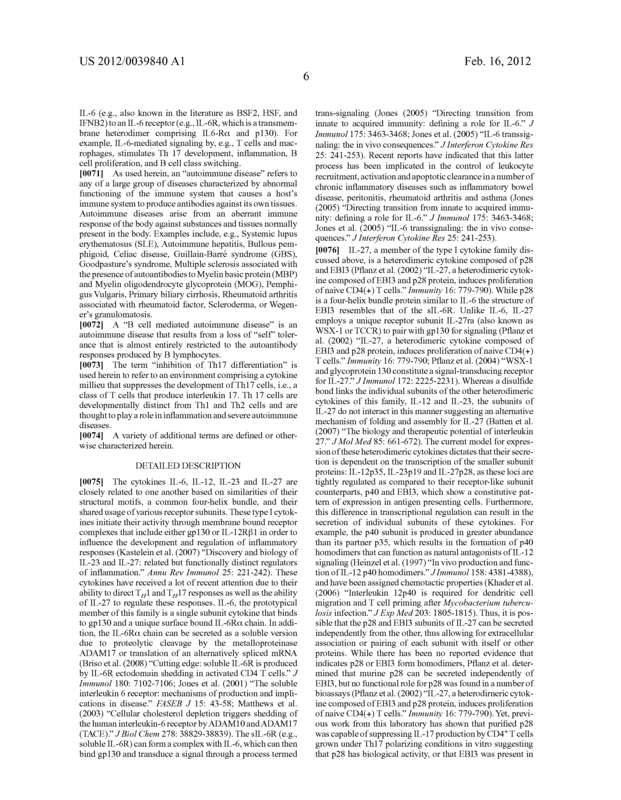 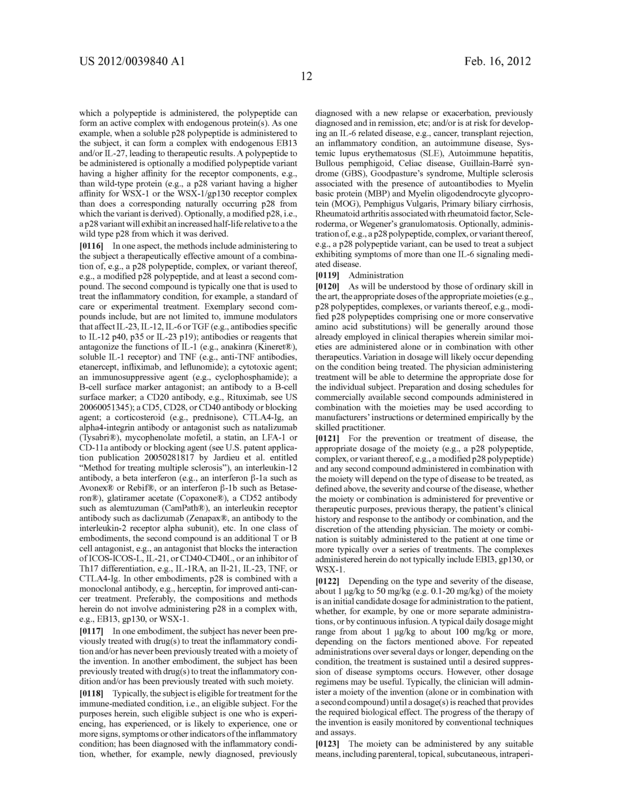 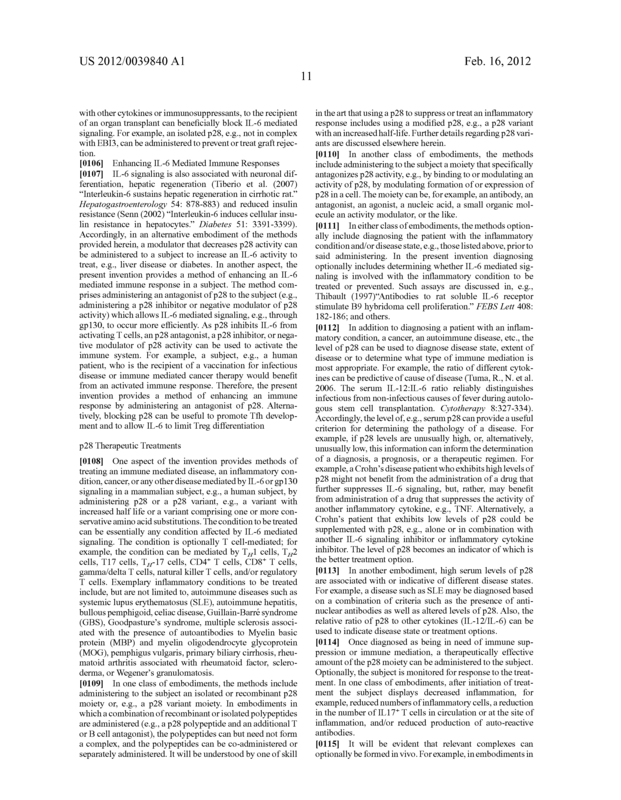 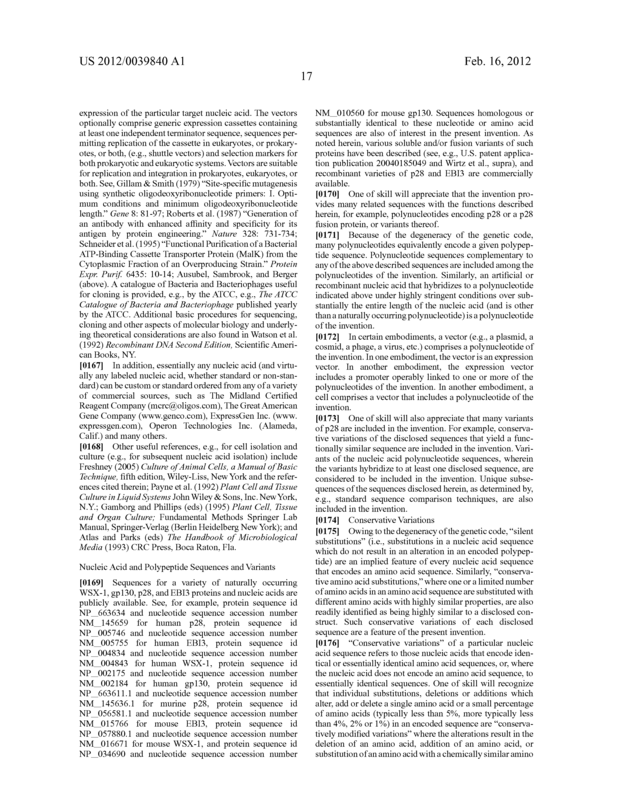 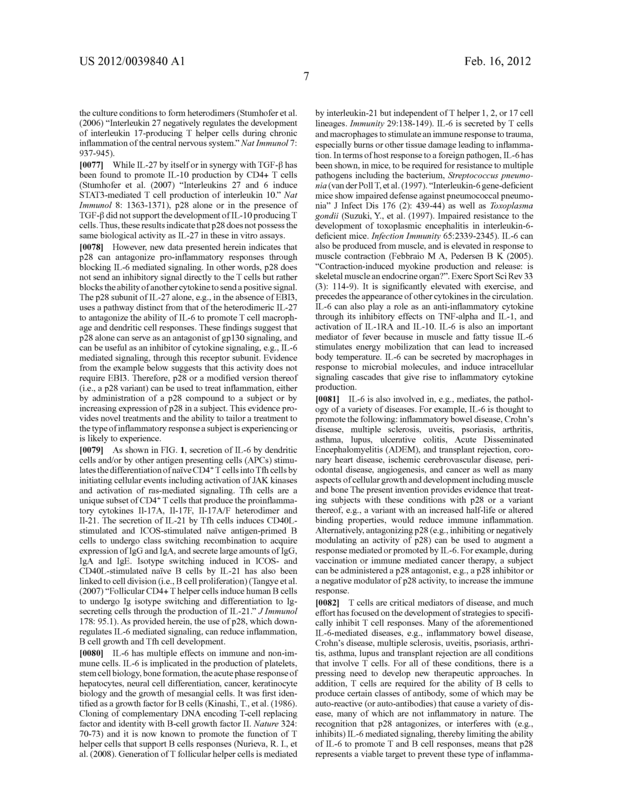 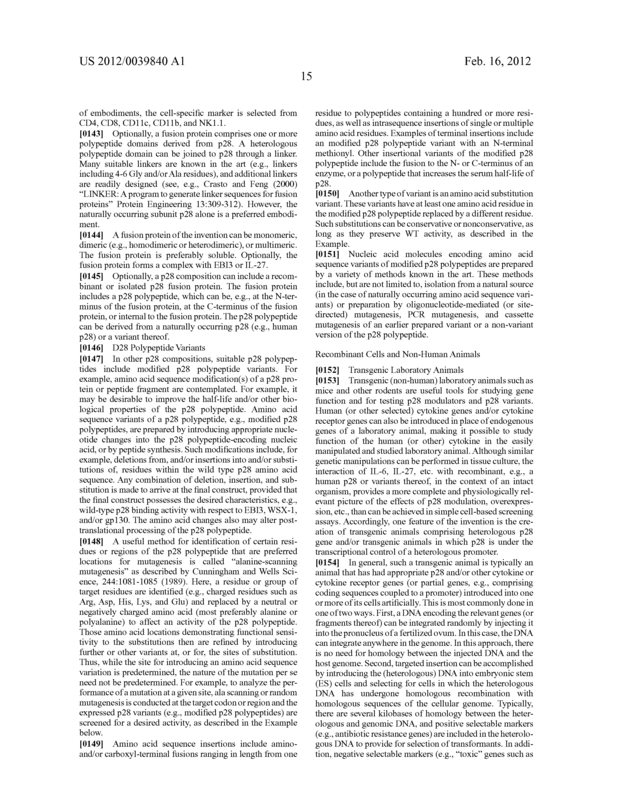 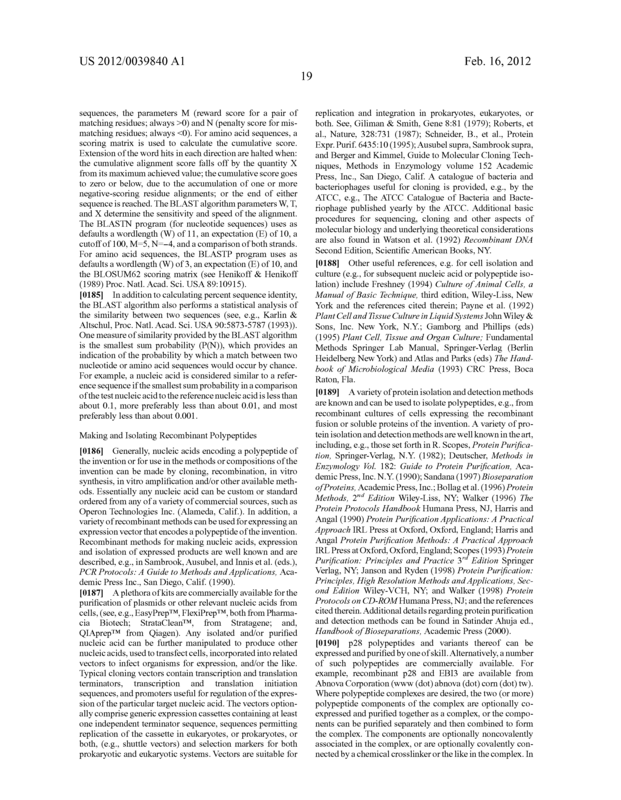 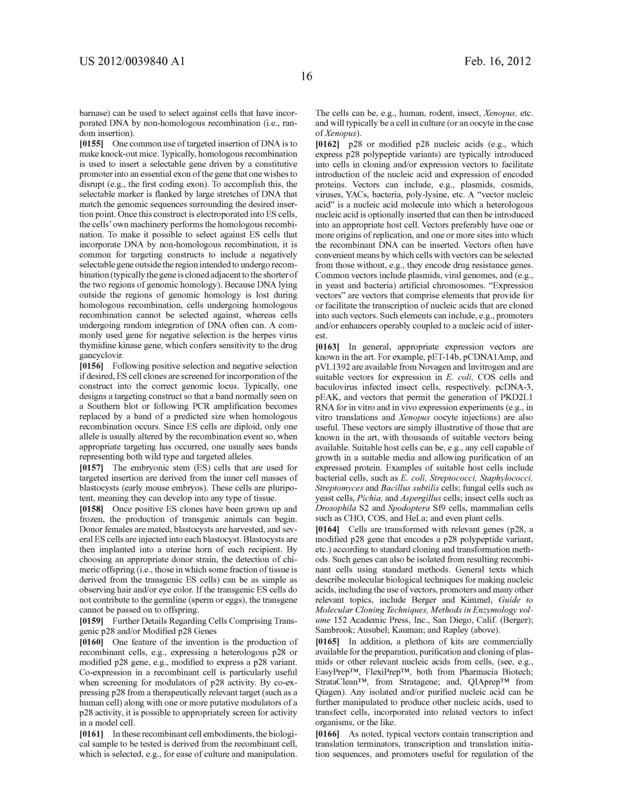 The method of claim 15, wherein one of the at least two inhibitors of Th17 differentiation is p28. 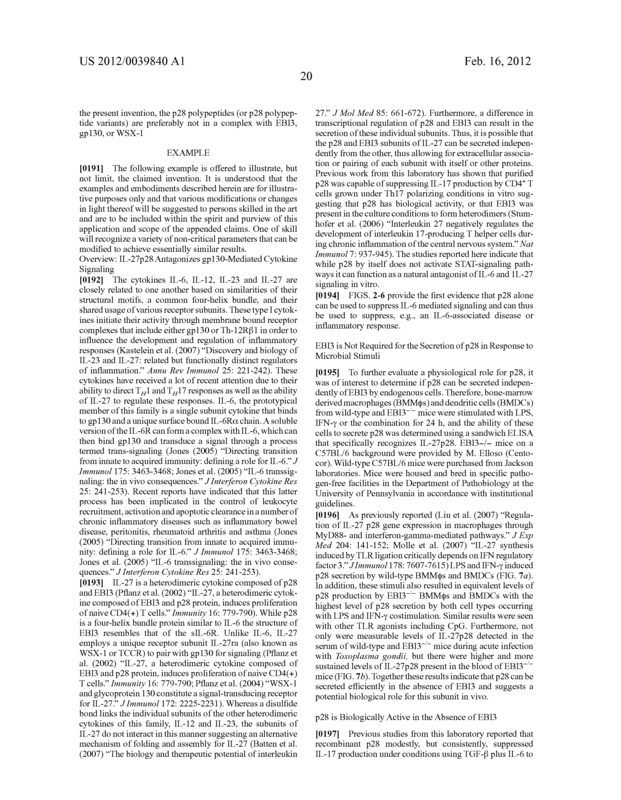 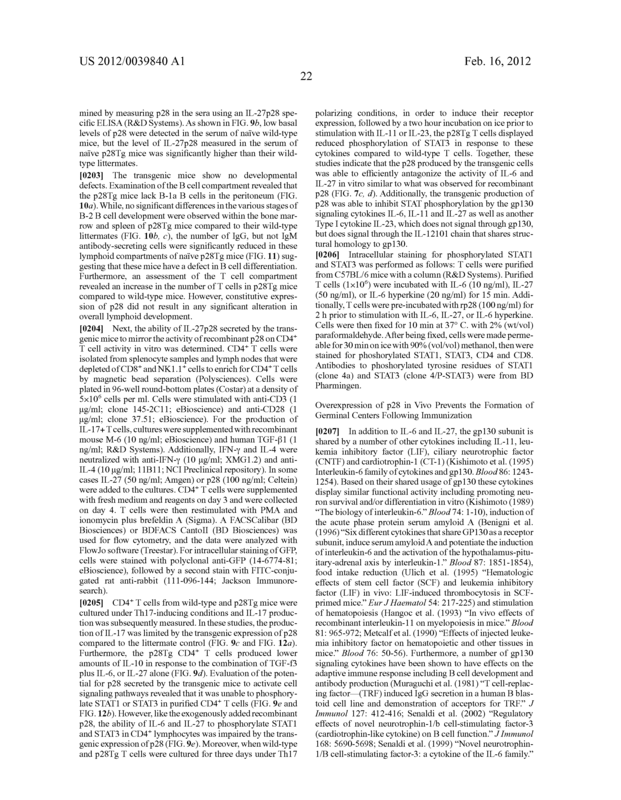 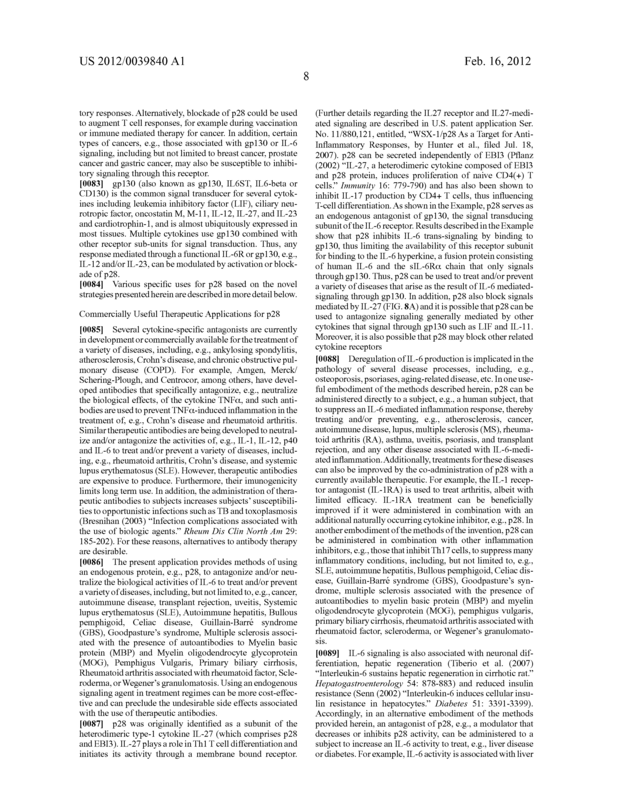 The method of claim 15, wherein one of the at least two inhibitors of Th17 differentiation is an IL-1 antagonist, an IL-21 antagonist, a TNF antagonist, or an IL-23 antagonist or CTLA4-Ig. 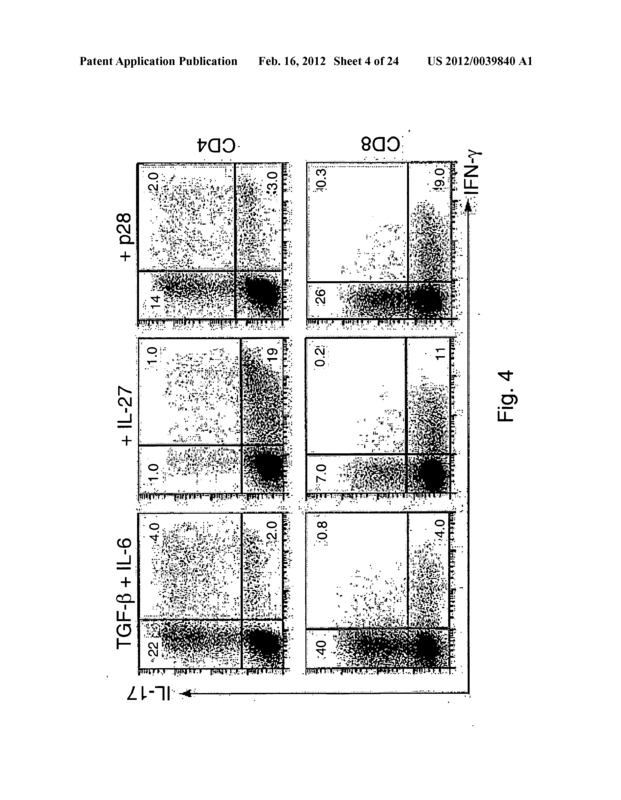 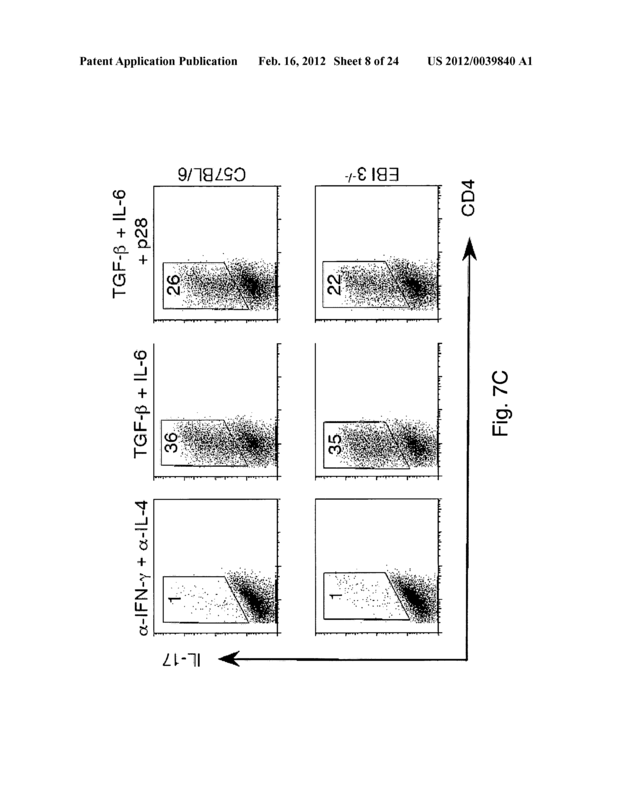 A method of limiting transplant rejection, the method comprising, administering p28 to a transplant recipient.